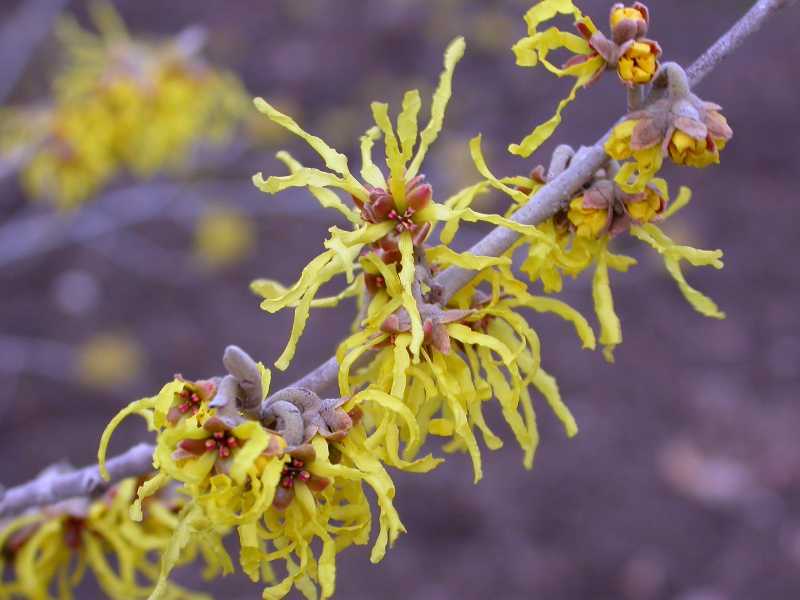 Fragrant yellow flowers, blooms in late winter. Handsome summer foliage turn yellow in fall. 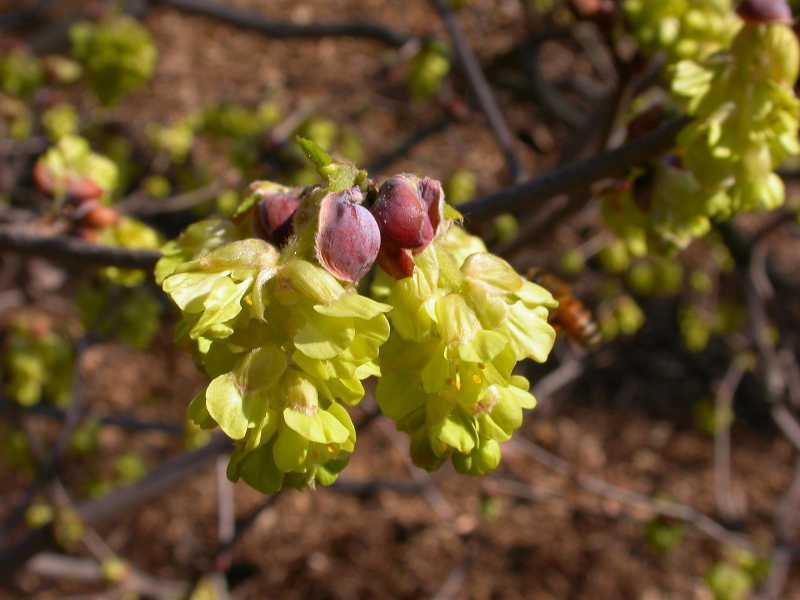 Hardiest corylopsis for local conditions. 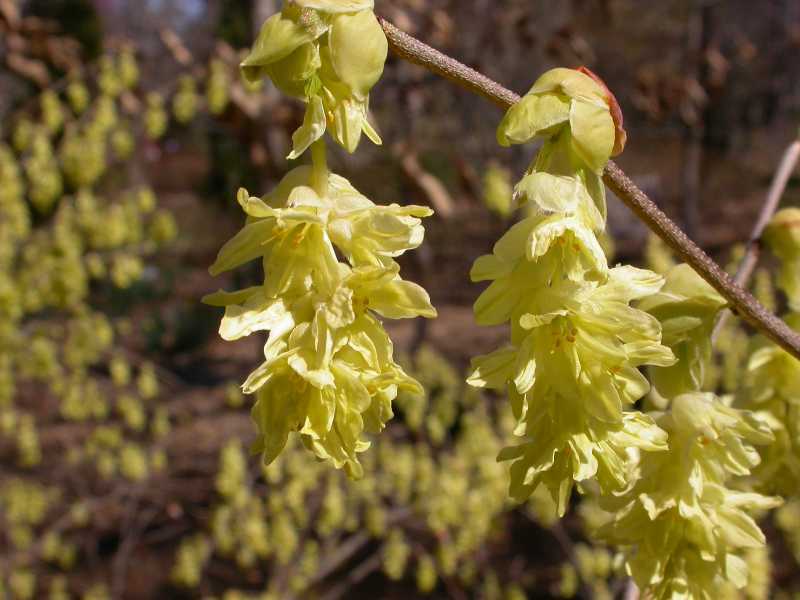 Tallest corylopsis species, can reach 8 to 12 feet. Underutilized spring bloomer with white flowers. 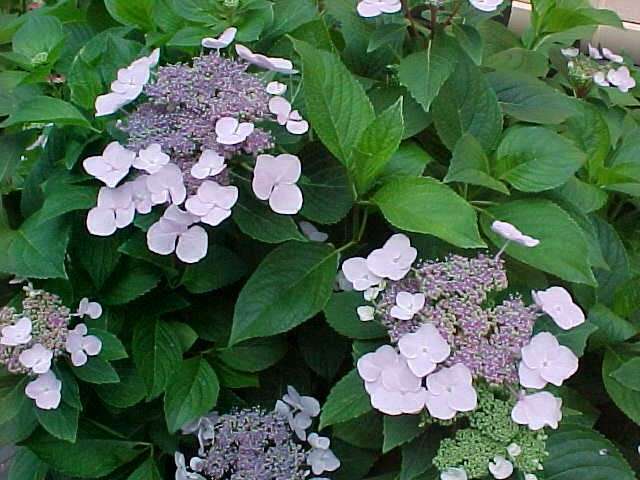 For specimen or mass planting in sun or light shade. Outstandingly graceful dwarf form. 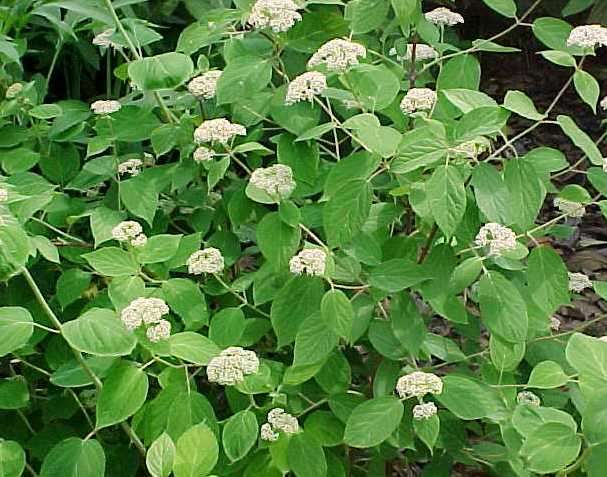 A Top 10 shrub, and still underutilized. Somewhat coarse habit, but good for the shrub border. Leaves have a sandpaper feel. 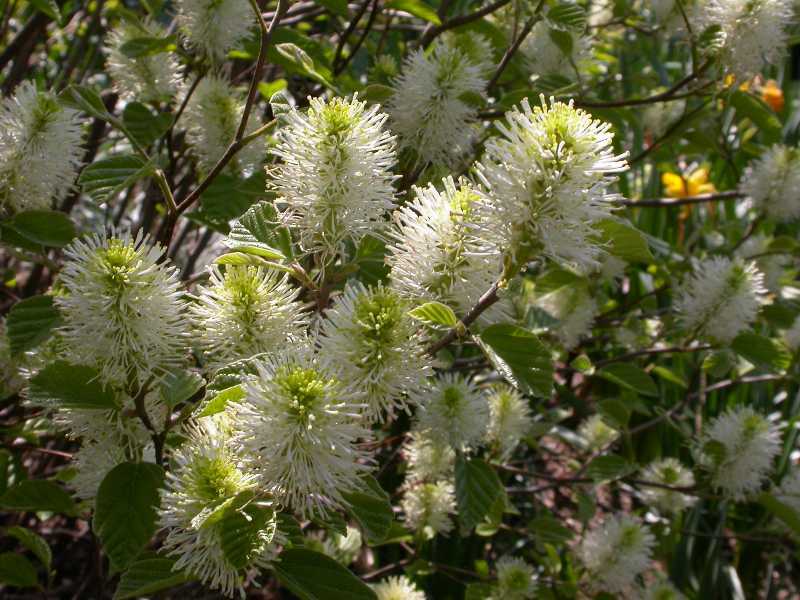 Fragrant white bottlebrush flowers bloom as leaves emerge in spring. Consistently superb fall color. 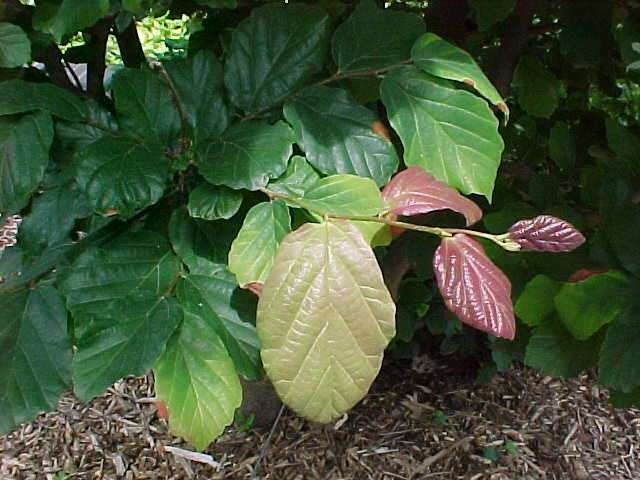 Dwarf form with glaucous blue foliage. Lacks the best autumn colors. 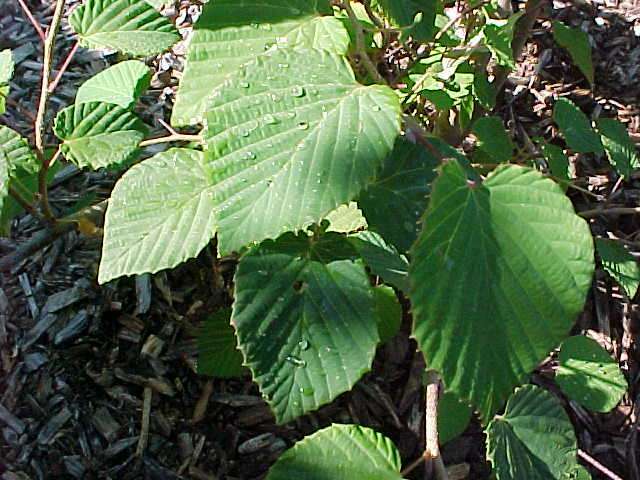 A larger plant in all aspects than F. gardenii. Autumn foliage also achieves a greater complexity of hues. A slower growing, more compact form than the species. 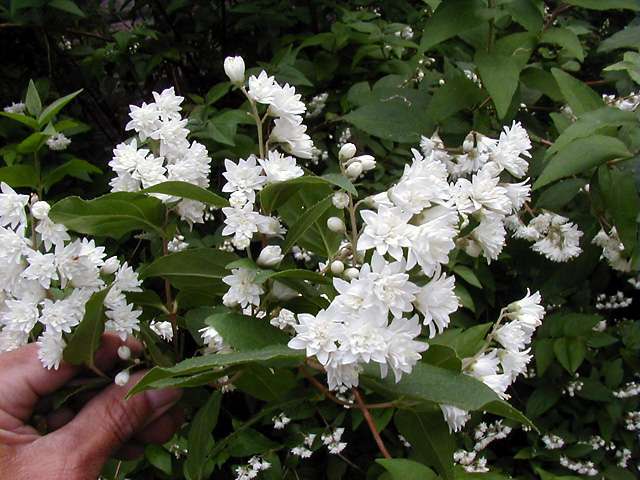 Fragrant blooms emerge after leaves begin to grow. Outstanding fall color. Profuse bloomer. Compact habit and great fall color. One of the parents of the x intermedia hybrids. Blooms later in winter extending into early spring. ‘Pallida’ has outstanding pale yellow flowers. Our native species. 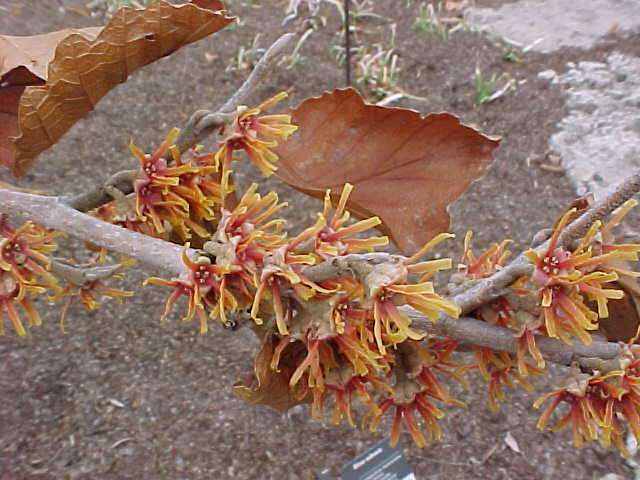 Best flower fragrance of all witch hazels. Latest woody plant to bloom in the year. 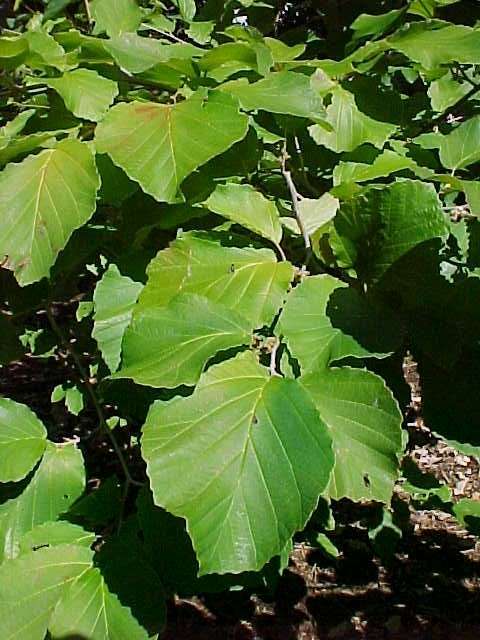 Bark is source of distilled witch-hazel lotion. 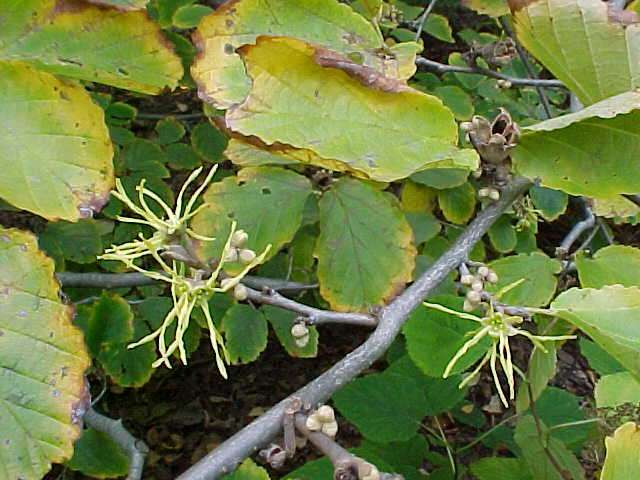 The best witch-hazel. Yellow flowers in late winter. 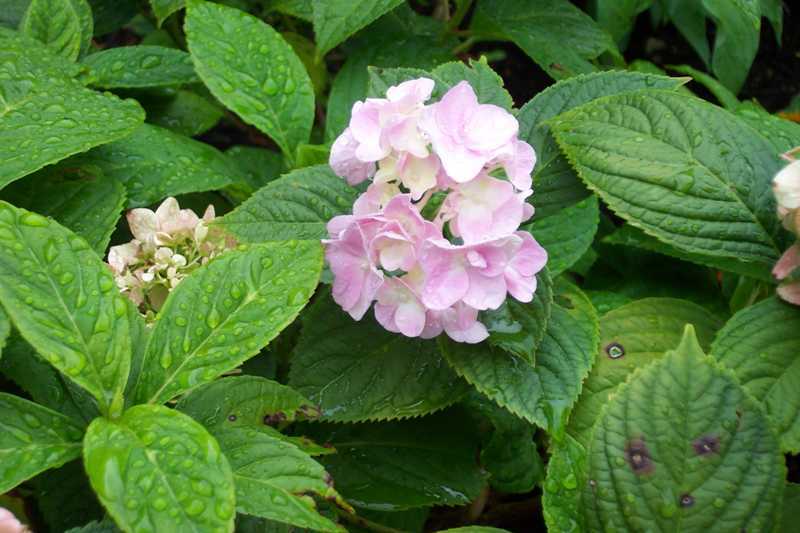 Upright habit makes it best for smaller gardens. 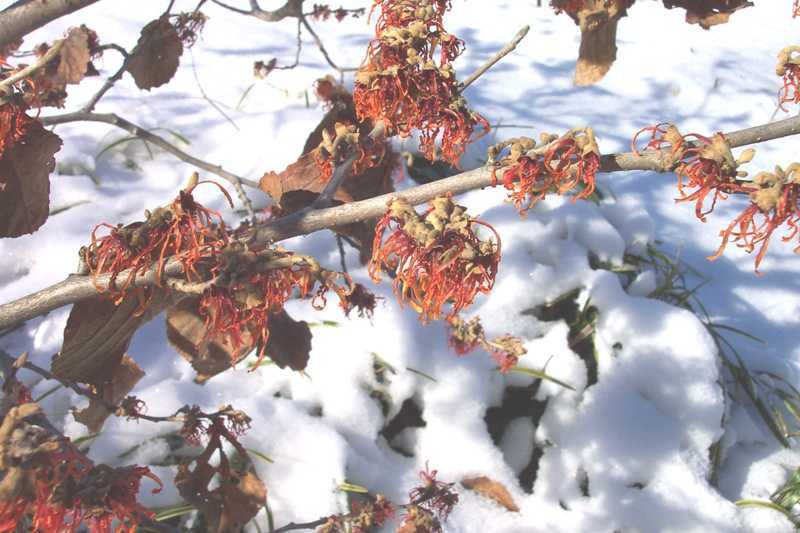 Copper-bronze flowers in late winter. Outstanding fall color. Grows wider than tall. Butter yellow flowers in late winter. 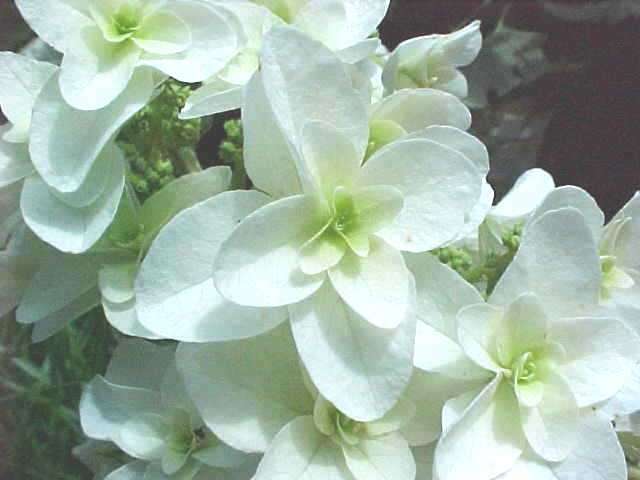 Blooms later than ‘Arnold Promise’ and ‘Jelena’. Outstanding fall color. 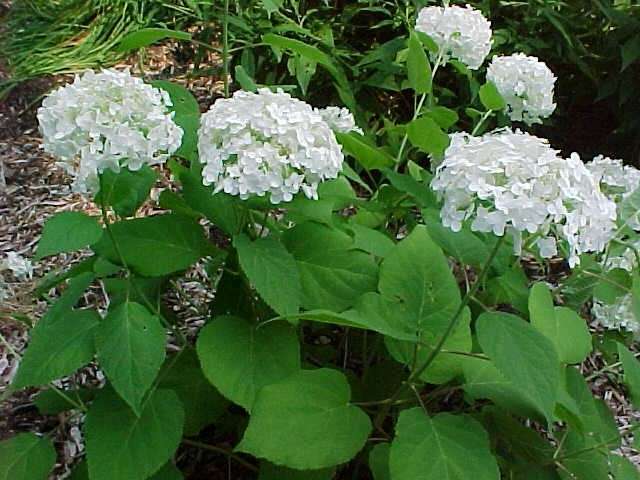 Our Missouri native hydrangea. Tolerates shade. 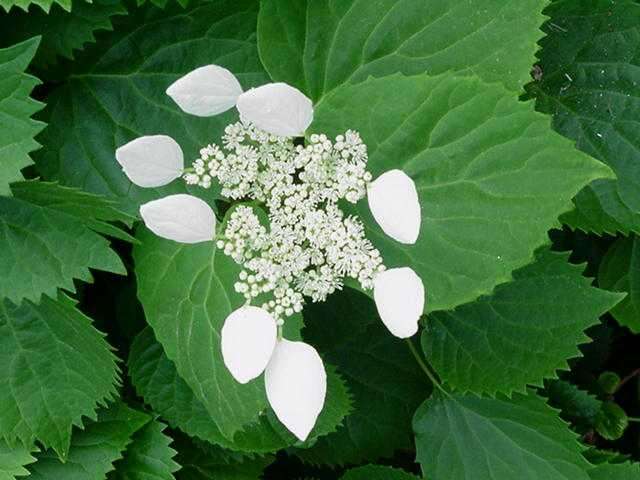 White flowers bloom on new growth. 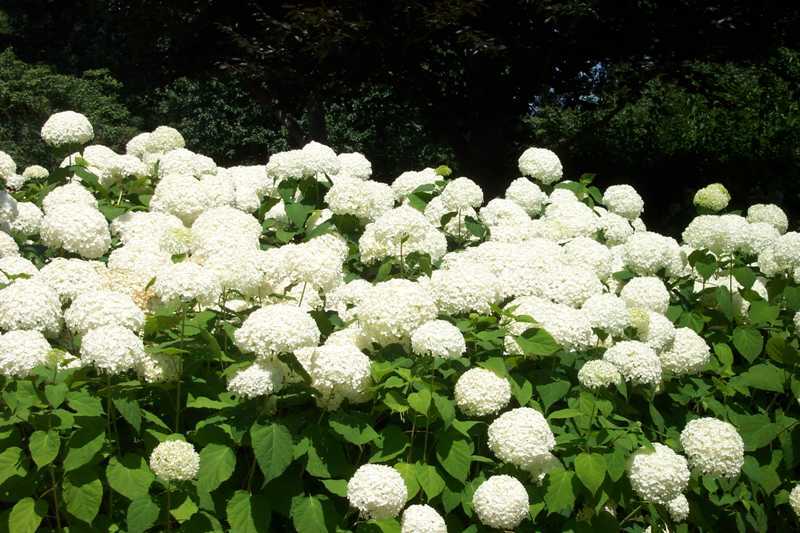 Huge snowball white flowers borne on new wood. Subject to lodging during summer storms. Mophead. New introduction touted as repeat bloomer. Has yet to live up to its reputation. Be patient. New introduction. 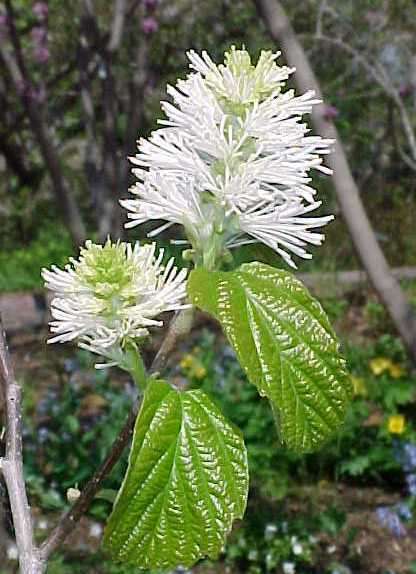 Mophead with good cold hardiness and said to bloom on new wood. Could be a keeper. 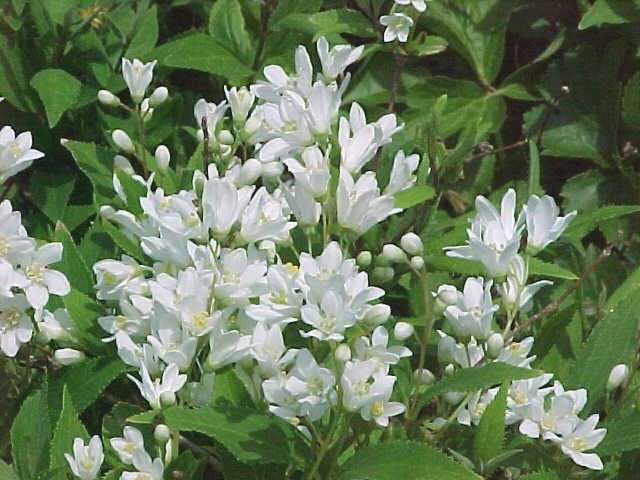 Large, white lacecap flowers borne on old wood. Repeats occasionally. 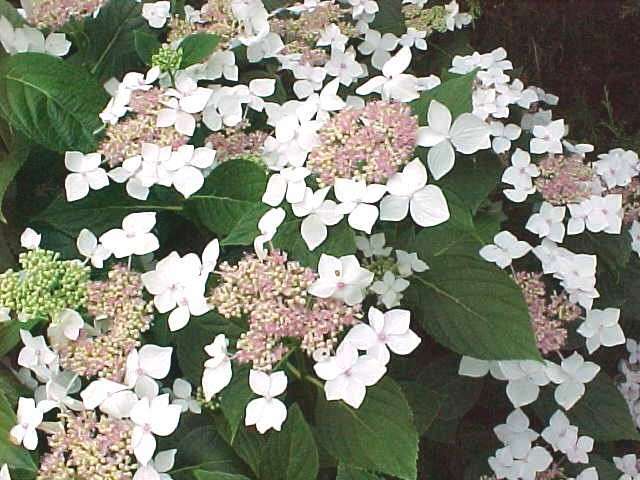 Arguably the best lacecap macrophylla. 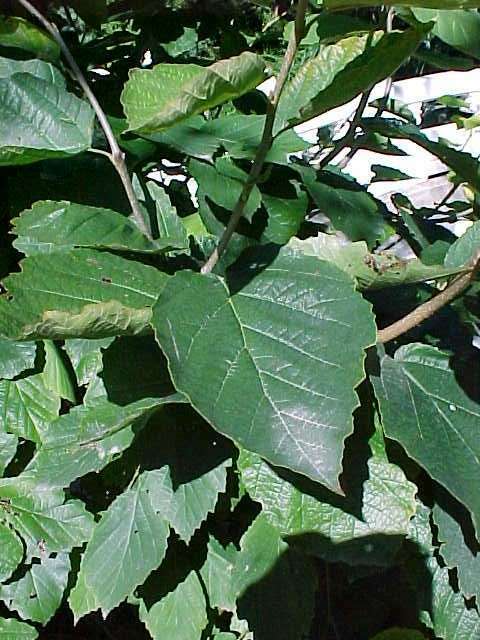 Large shrub can reach 6+ feet. One of the finest mopheads. May produce some blooms on new wood in fall. 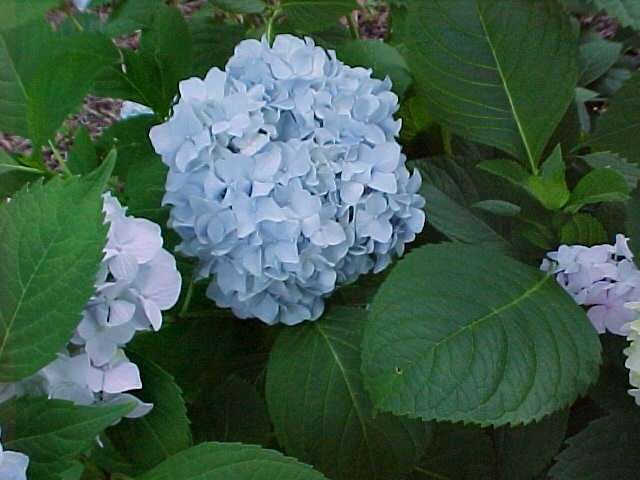 Changeable color depending on soil pH. Excellent lacecap form blooms over a long season. 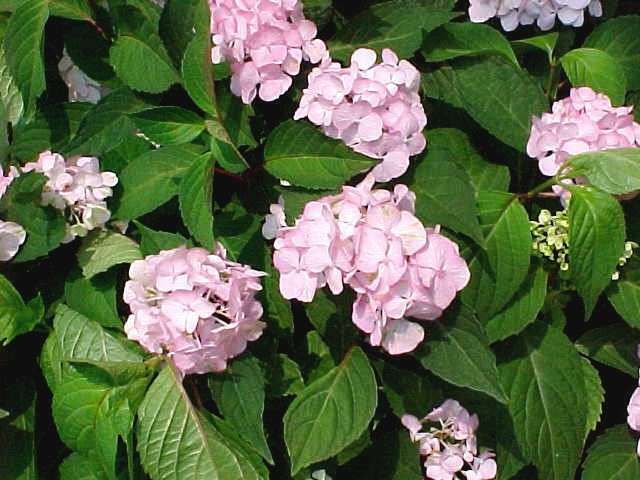 White sterile flowers turn pink with age. Old garden favorite. 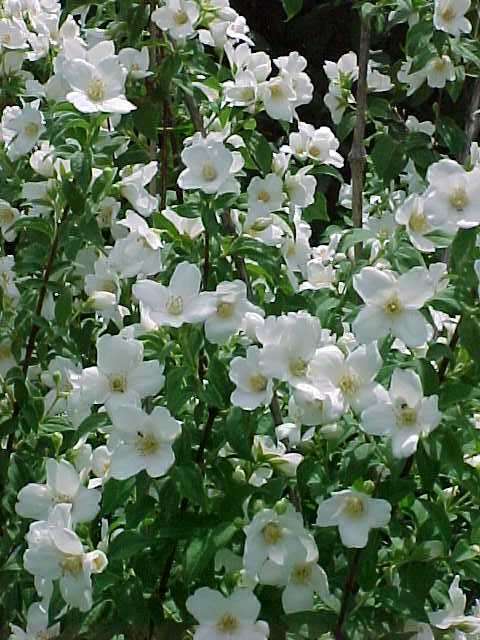 White flowers bloom in summer. 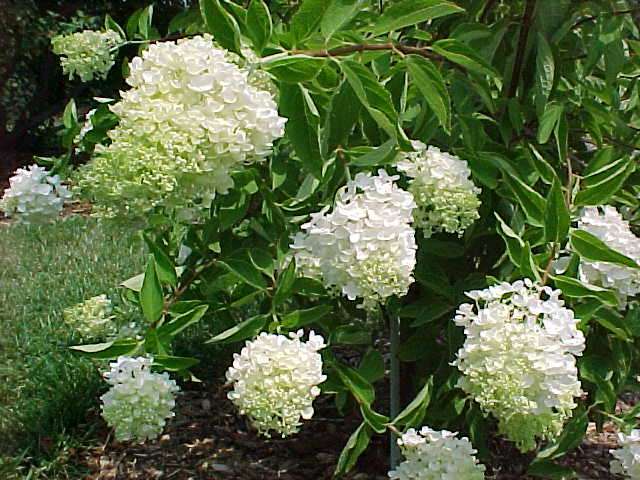 Used to best effect trained in tree form and placed in the shrub border. New introduction. 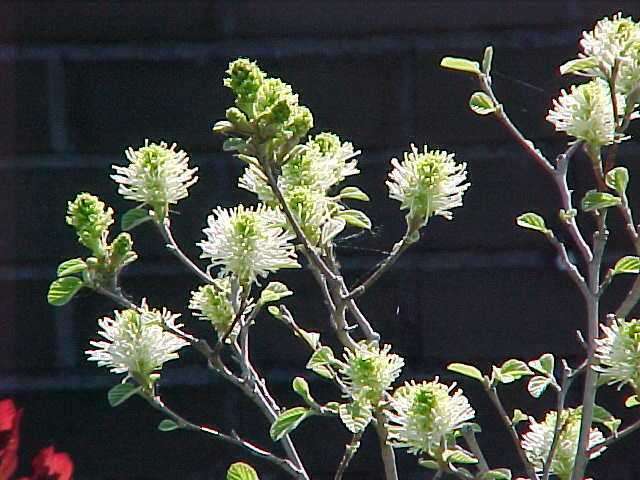 Inflorescences are lime-green in cool weather, white in the heat of summer. 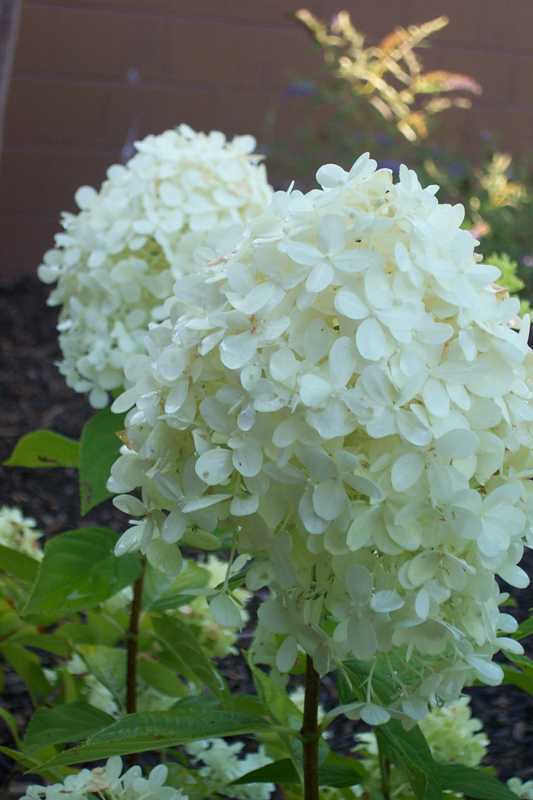 The finest blooming shrub for late summer into fall. Bears tall, white, upright panicles. 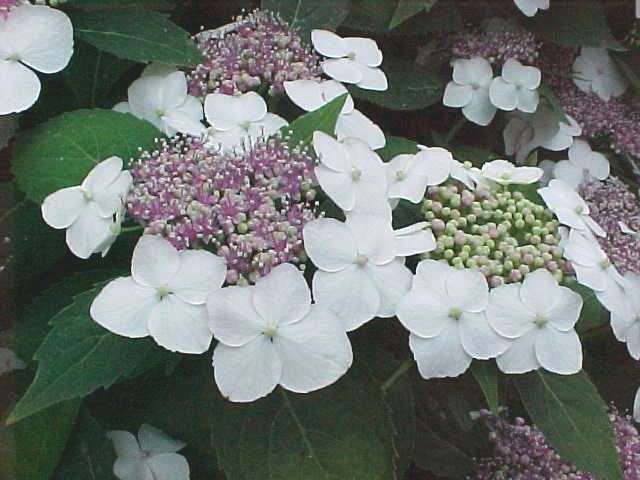 Hard pruning produces larger flower size. Mophead. Hardier than most macrophylla types. Typical flower color is red-burgundy. 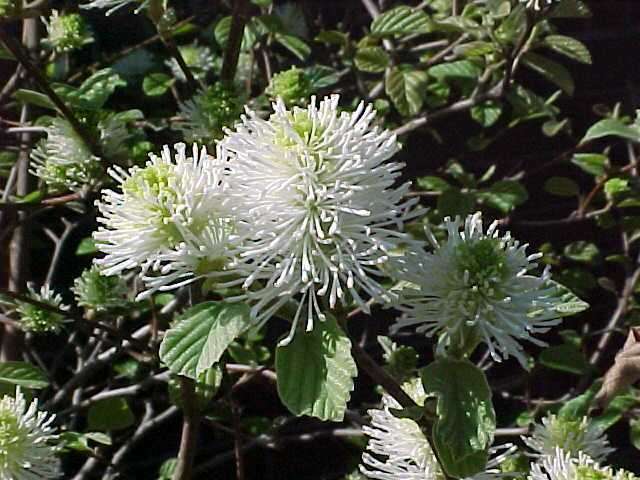 Outstanding shrub for four seasons. 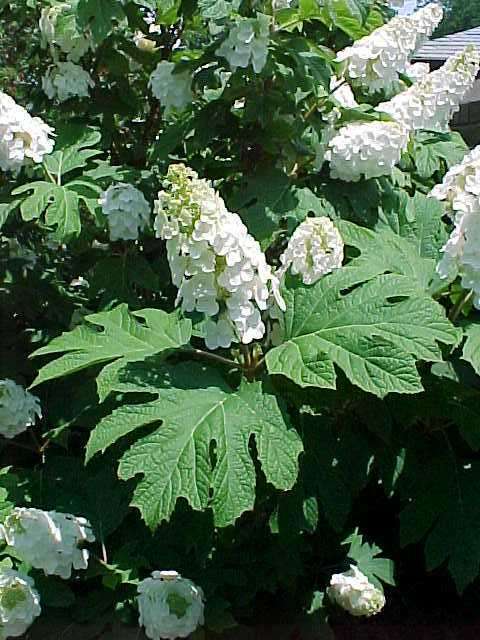 Bears white, upright panicles in early summer, interesting oak-like foliage turning brilliant hues in fall, and handsome, peeling cinnamon bark in winter. 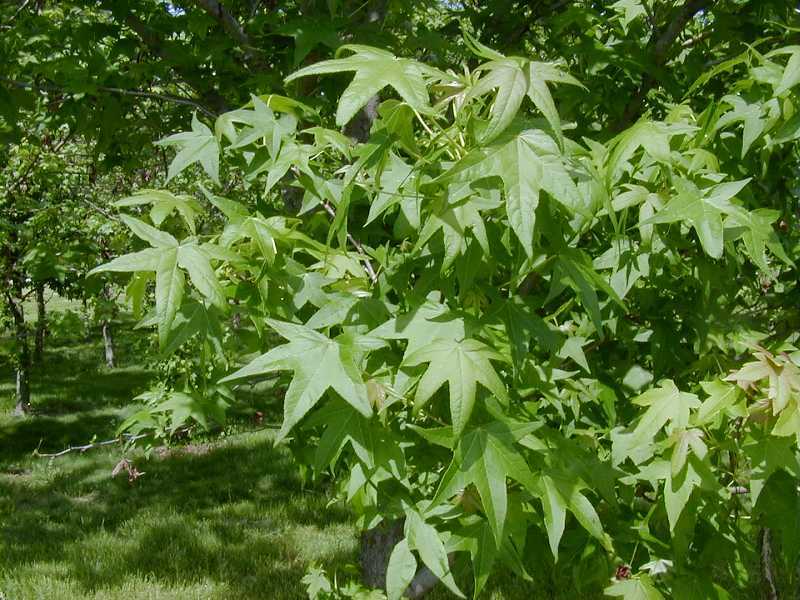 Tolerates full sun to dense shade. 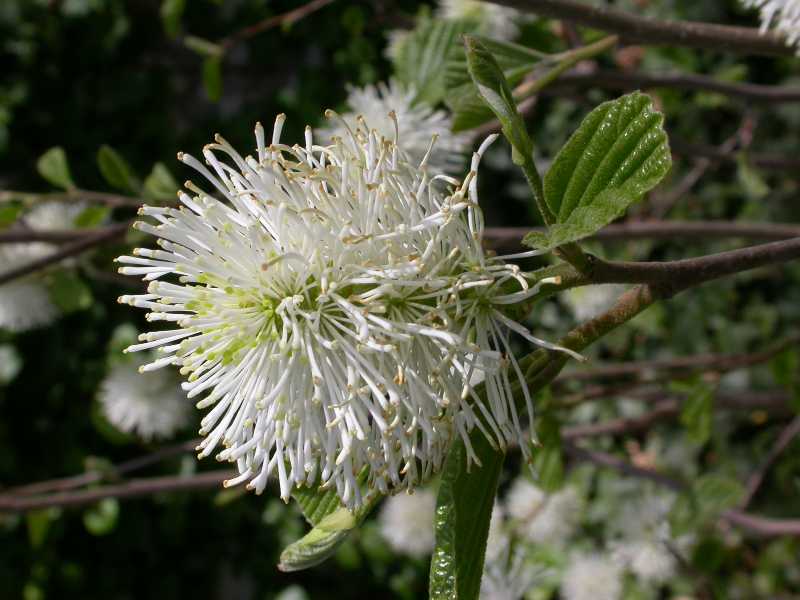 Large, double-flowered inflorescences create a weeping, layered branch effect. 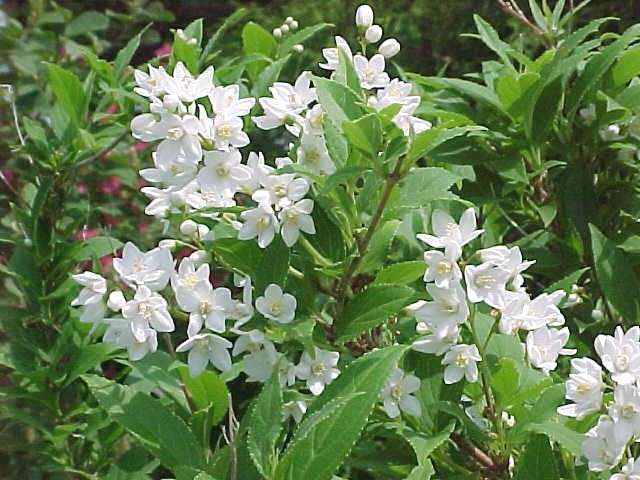 It’s as old as the hills and still the best cultivar for growth habit and reliably fragrant single flowers. Outstanding fall foliage. Seeds relished by finches and other songbirds. 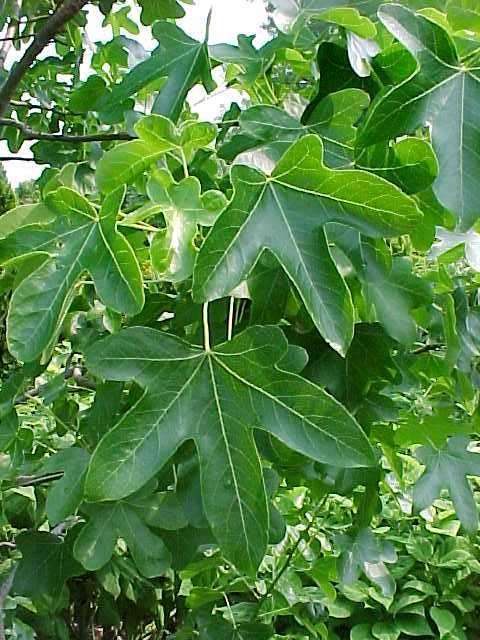 Plant where prickly fruit create no hazard. Mostly fruitless cultivar, but may bear some fruit in some years. Great fall color. Outstanding bark adds winter interest. Red winter flowers are insignificant. Arguably the finest ornamental vine. Bears lacecap flowers. 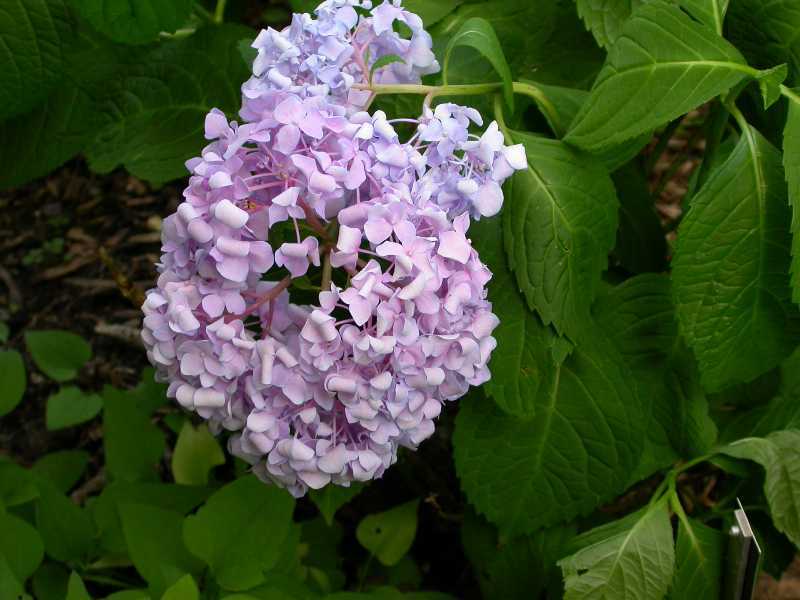 Can be trained as a freestanding shrub or “tree” form with patience. 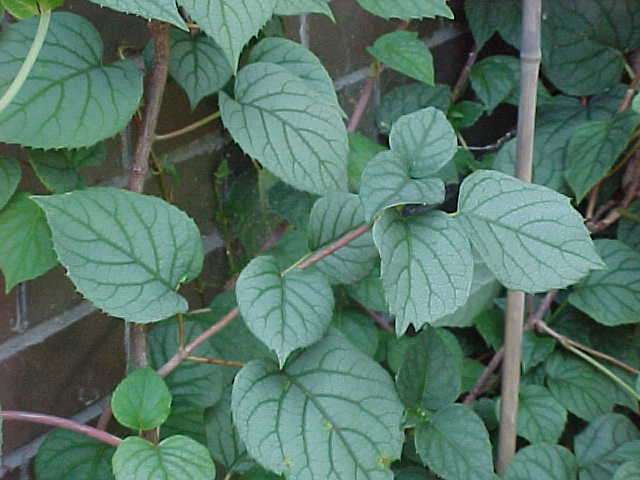 A superb climbing vine for walls, tall trees or a large stump. Tolerates shade but flowers best with some sun. Slow to establish, but worth the wait. 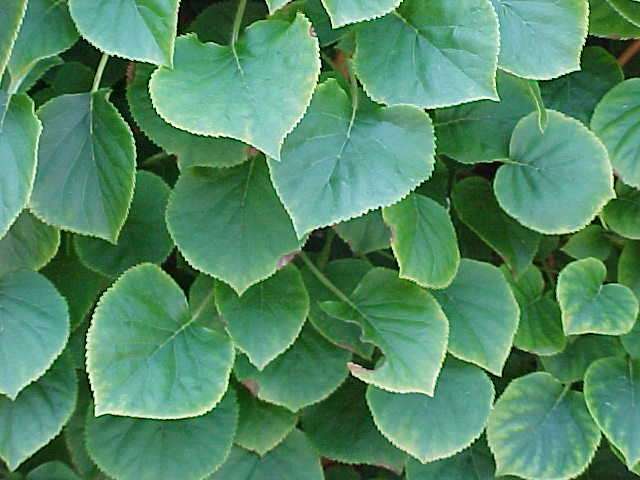 Heart-shaped blue-green leaves mottled with a silvery iridescence distinguish this outstanding selection. 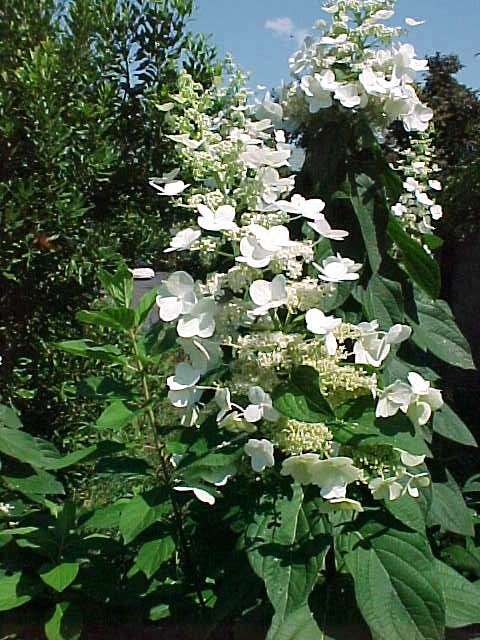 Large lacecap flowers bloom in July and August.